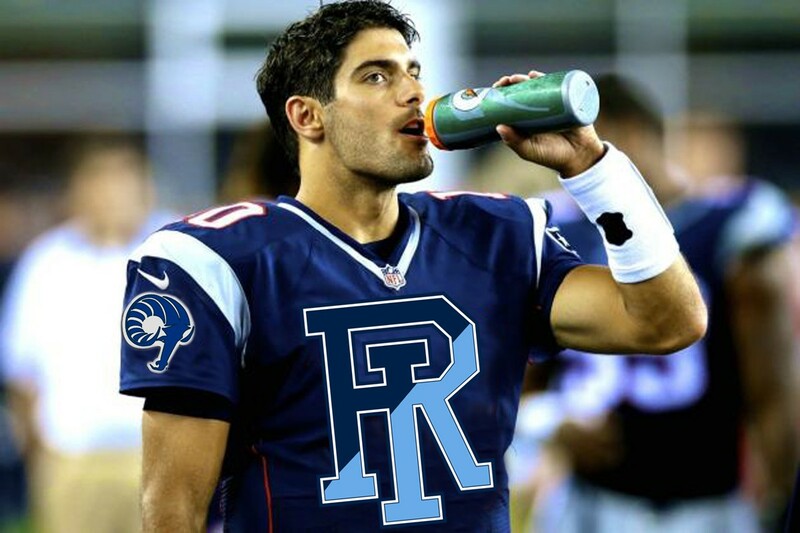 I did not go to the University of Rhode Island for the sports. Sure, it’s my passion, and where I hope to make my livelihood, but I had no delusions that the Rams would be competing for national championships or winning bowl games. URI was small-time, and that’s what I liked about it. I was not looking to be engulfed by a big campus but rather preferred to be incognito, so to speak. The school was inconspicuous and reasonably close to home which is what I wanted. Everything else was a bonus, including the transformation of the athletic department which in my four years here has endured heartbreak, breakthroughs and change. As I prepare to leave what has become a harbor for hope (URI basketball), and sometimes a place ruin and despair (URI basketball), I can look back with a profound appreciation for URI athletics, as well as this publication, which gave me an outlet to express my love for this crazy world we call sports. I had going into my freshman year. URI is now a sports hotspot, and I am proud to have been part of it. I played a miniscule role in the grand scheme of things, but always from what I consider the best seat in the house. I feel funny sometimes writing such romantic language about a game, but after investing four years into the men’s basketball team I don’t think I could ever utter those words I know are true but refuse to acknowledge, “It’s only a game.” Say that after watching Hassan Martin fall to his knees in celebration after lifting a four-year burden of lofty expectations and then get back to me. I took to baseball rather late in my childhood, and maybe had only two solid years of suffering through the Curse of the Bambino. For myself, the basketball Rams became an extension of the Boston Red Sox, as I, now fully engaged in the game, truly understood the pain that came with the enduring of countless late-game shortcomings, the kind that are still seeping in even after a 15-minute press conference and 25-minute drive back home. Perhaps I lost sight of the fact that these were just college kids when I criticized this team in my writings, on more than one occasion. But that is really the essence of what this team did for me. My columns wrote themselves, with the drama that unfolded over two hours in the Ryan Center fueling almost every word. Regardless of if I over dramatized a college basketball season, I undoubtedly became a better writer through my experiences covering what I will always consider the program’s most important team. 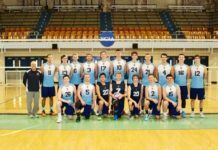 Of course, there are other teams at URI, and many whose success often goes unnoticed. 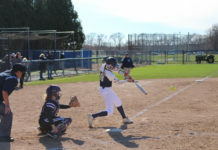 The track and field teams, for both the men and women, have been models of consistency, while the baseball team has risen back to prominence after its own Cinderella season in 2016, winning an Atlantic 10 title and an upset victory at South Carolina in the College World Series. 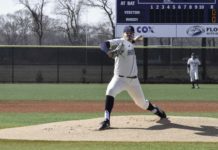 Tyler Wilson will be back on the MLB watch list when he returns from his injury, and will be joined by several other URI athletes who have demanded national recognition. I have been fortunate enough to witness some special moments during my tenure as sports editor, both the ones that were grand and subtle, and have done my best to capture that each week on this paper. I have worked with two incredible editorial staffs, both with their own style and vision, and have seen this paper grow and change much like sports has in URI. Should I ever make something of myself in my post-Cigar life, it will be in large part due to the foundation that has been laid right here in Kingston. And that, like all of those sports memories, the good and bad, will never be lost on me.